Each of the parties to this Agreement administers and/or delivers irrigation water to growers in the Kern River, Poso Creek, Rag Gulch or White River watersheds, and other minor creeks, in the southern San Joaquin Valley (hereinafter collectively referred to as the Kern River sub-watershed). As a result, they are vitally interested in preserving the viability of irrigated agriculture and other enterprises within their service areas. The Porter-Cologne Water Quality Control Act regulates any person discharging waste or proposing to discharge waste that could affect the quality of waters of the State of California. 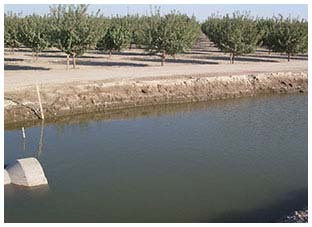 Such discharges are regulated in the Central Valley by the Central Valley Regional Water Quality Control Board (the “Regional Board”), which takes the position that a discharge can occur when any amount of tailwater or storm water leaves irrigated land and enters surface waters of the State of California either directly or indirectly. The Regional Board also takes the position that any discharge must be either individually permitted pursuant to a waste discharge requirement or subject to a waiver of such requirement. The Regional Board also takes the position that irrigation of any lands may lead to a discharge of waste to groundwater, which it asserts it can regulate. The parties do not necessarily agree with some or all of the positions of the Regional Board. On June 22, 2006, the Regional Board adopted a Conditional Waiver of Waste Discharge Requirements for Discharges From Irrigated Lands, which took effect on July l, 2006 (the “Waiver”). Pursuant to the Waiver, an owner or operator of irrigated lands that produce discharges may avoid obtaining individual waste discharge requirement's by complying with the Waiver. Owners or operators of irrigated lands may comply with the Waiver either as individuals or through coalition groups. The Regional Board is now pursuing the creation of a new “Long-Term Irrigated Land's Regulatory Program” (“ILRP”) which is intended to monitor and regulate both surface waters and groundwater (the existing Waiver and such proposed and any adopted ILRP herein collectively referred to as “Water Quality Regulation’s”). A coalition group for the Kern River sub-watershed has been formed in order to combine resources to review, analyze, comment upon, and reduce the cost of compliance with the Waiver and which were heretofore administered by the Kern County Water Agency. Because compliance with and potential challenges to the Water Quality Regulations is integral to continuation of the provision of water by the parties for irrigated agriculture within the service areas of the parties to this Agreement, they wish to participate in development of, potentially challenges to, and the facilitation of compliance with the Water Quality Regulation’s by forming a joint powers authority to serve as the watershed coalition group for the Kern River sub-watershed and to make itself available to act as the coordinator for their respective landowners and operators with respect to activities related to the Water Quality Regulations. Contact us to learn more about the Kern River Watershed Coalition Authority. Kern River Watershed Coalition Authority regular board meetings are held the first Thursday of every month at the Kern County Water Agency Board Room in Bakersfield at 1 p.m. unless otherwise noted under the News & Updates.